“How are you guys doing today?” He has a kind, clear speech—attributed to his West Coast upbringing. The closest student mutters something through a shy smile, suddenly growing more attentive to the dish Rockwell is preparing for him. Rockwell’s movements become more intentional and are, at times, paired with an explanation for the dish’s assembly. His engagement with the student has not only invited conversation, but has also welcomed a stranger to join in on his craft. Food has served as Rockwell’s medium for connecting with others since he was 9 years old. Rockwell’s first time over the stove was under the instruction of his single mother. He was trained to prepare dishes like Hamburger Helper so that he and his younger brother would be equipped to eat during her double work shifts as a travel agent and waitress. Rockwell quickly labels this woman as his deepest source of influence. “My mom was such a hard worker, doing everything she could to provide for me and my little brother” he said. He explains that her contagious value for intentional work is what brought Shawn to Covenant College in January 2018, and further, her very spirit was reflected in his own work ethic, leading to a promotion to part-time management 8 months later in September 2018. Rockwell’s responsibilities in his management role stretch from keeping track of expiration dates to helping with the dishes alongside the interns. On Rockwell’s rounds through the dining hall, he surveys the empty trays on buffet lines and keeps track of which food items were most popular. Rockwell will also stand by the dish pit and ask students how they liked the food. Not only does he want to know their opinion on the dishes offered that day, but he also likes to keep an eye on the plates they set on the conveyor belt that carries dishes behind the kitchen to be washed. 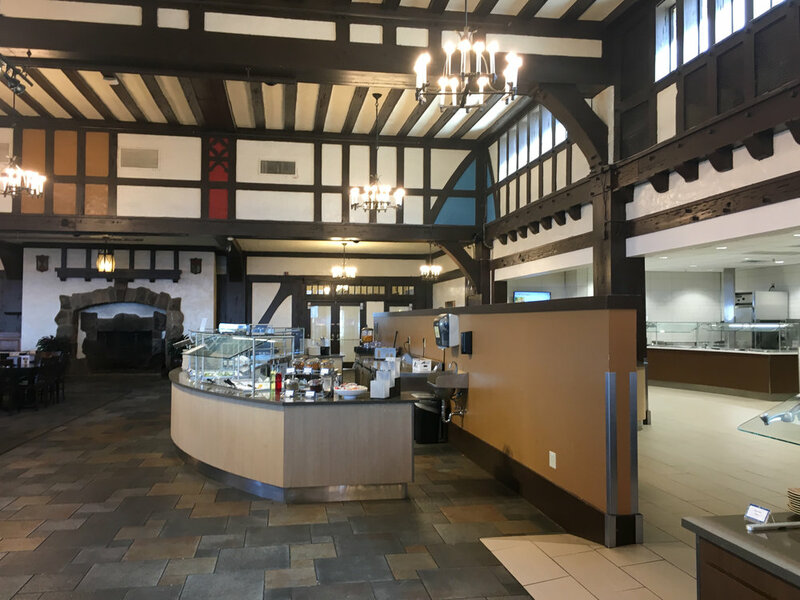 Rockwell’s hope is to install a sort of feedback system where students can offer suggestions for new dishes or vote on which meals have been their favorites. He wants to see more honest conversation between students and staff in order to provide the best experience for everyone. The marriage between food and intentionality has not been evident only in Rockwell’s time at Covenant College. Prior to his hiring in January, he had worked in Washington state at two different nursing homes before moving with his wife to Alabama in 2018. Rockwell draws on his experience from one particular nursing home called Brookdale. Rockwell speaks fondly of his time working in front of others because he can see how much his intentionality changes their interactions with him and even improves the person’s day. For Rockwell, it is extremely important to build community around quality food. Not only does food offer an excellent platform for conversation, but the care he puts into its making and the attention he shows its receiver are vital in Rockwell’s efforts to make people feel seen.